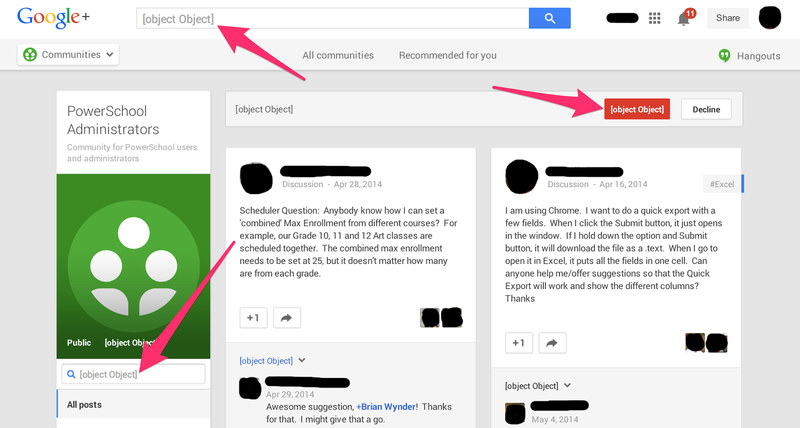 Are you seeing [object Object] on Google Sites, Google Plus, Google Drive? I experienced this lately, I would see [object Object] all over the place on Google+ and Google Drive. This only happened when I was using the Chrome Web Browser. Then I remembered that I recently installed a Google+ Extension in Chrome. Simply disabling and enabling this Extension again resolved the issue for me.